Bold block heels anchor these single-sole sandals, which are crafted from sumptuous suede and finished with a unique ruching detail on the toe strap. 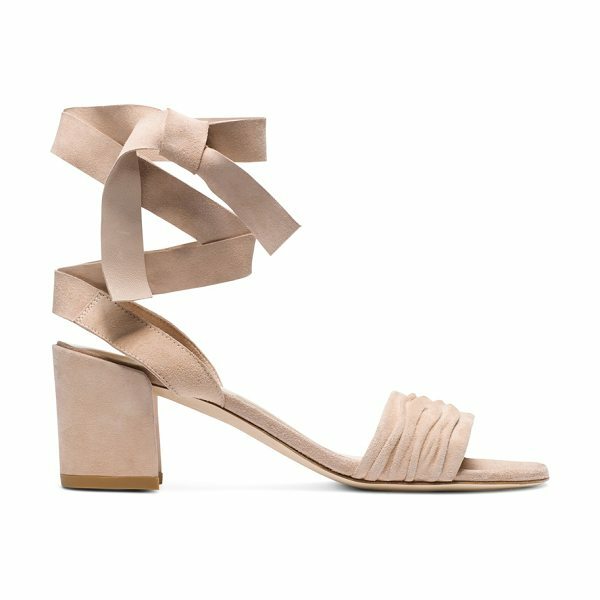 Note the coordinating ribbons designed to wrap around the ankle and cut wide in a nod to the ballerina aesthetic. Put your own spin on warm-weather-wow style, and wear with straight-leg jeans and a menswear-inspired blazer.